Mountain Pass Mine and surroundings. 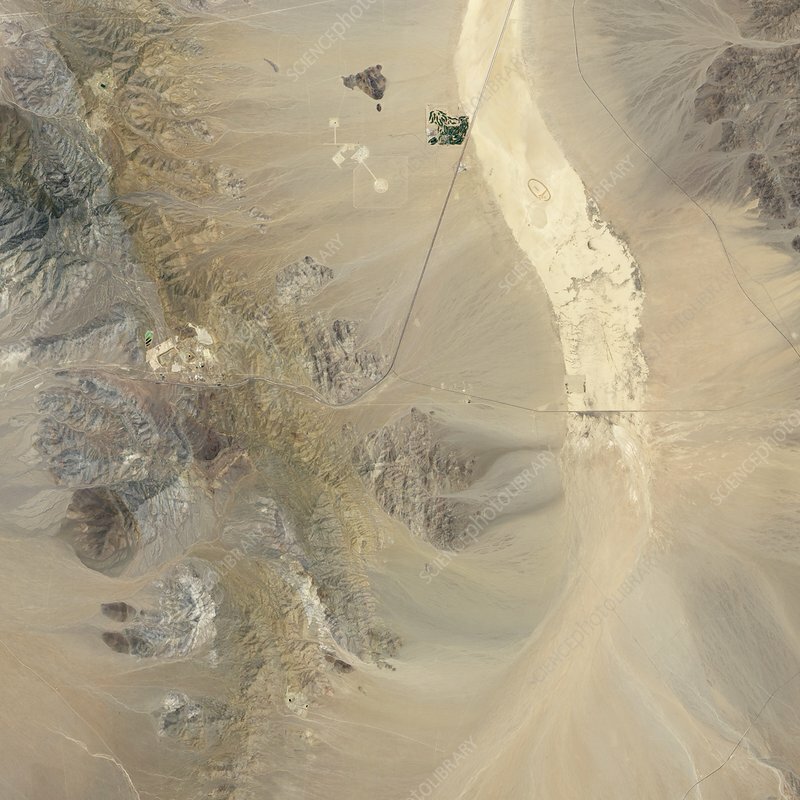 Satellite image of Mountain Pass Mine (centre left) and the surrounding area in the Mojave Desert, California, USA. This mine, located within the Clark Mountain Range (down left) is rich in rare earth elements (mostly lanthanides), of value for their high-tech applications. At upper right are the salt flats (light brown) of the dry Ivanpah Lake. At upper centre is Primm Valley Golf Club (green), by Interstate 15. This image, covering an area around 30 kilometres across, was obtained by the Advanced Land Imager (ALI) on NASA's Earth Observing-1 (EO-1) satellite, on 28 May 2011.